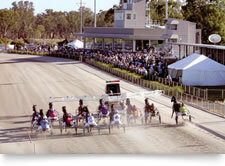 Shepparton Harness Racing Club, located at Quest Racing Complex and the Goulburn Valley Highway in Kialla features state of the art racing facilities. 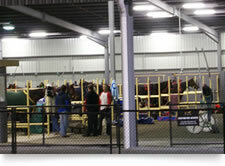 The 106 stall shed contains 6 wash bays and 2 urinals all under one roof. The 1000 metre track is surfaced with granitic sand with a 200 metre straight and 100 metre turns. Races are run over 1609, 1690, 2190, 2690 & 3190 metre with 7 horses off the front for both mobile and standing starts and maximun field sizes of 12 for mobile and 11 in standing start events. 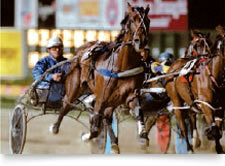 All racing and trialling held at Shepparton Harness Racing Complex are conducted under the rules of Harness Racing Victoria.